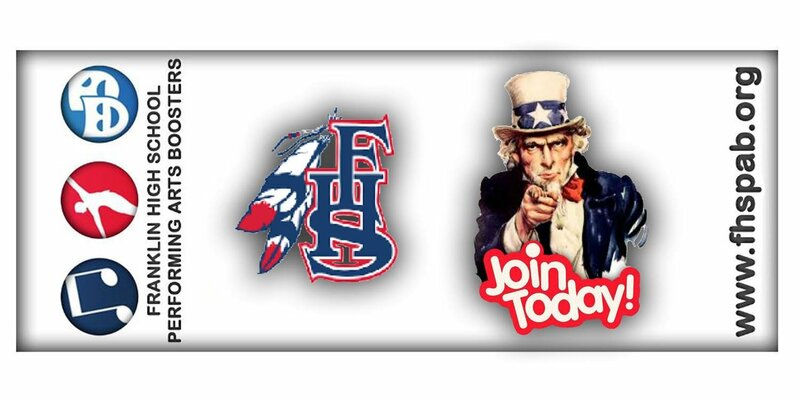 Join the Franklin High School Performing Arts Boosters. To assist the faculty of the arts programs with needs beyond BCPS budget limitations while supporting and promoting the student clubs, organizations, and other extra-curricular activities through financial support and volunteerism. What is the Franklin High School Performing Arts Boosters? We are a volunteer non-profit organization of parents, alumni, faculty and other supporters that has a proud tradition of providing financial assistance for student activities through our membership drive, charitable contributions, dinning outs and event concession fund-raising efforts.The Performing Arts Booster Club is dedicated to supporting and promoting student interest in the performing arts (Band, Choir Ensembles, Dance, Guitar Ensembles, Jazz Band, Marching Band, and Theatre Company). You can see us at almost all the school events and through out the community!